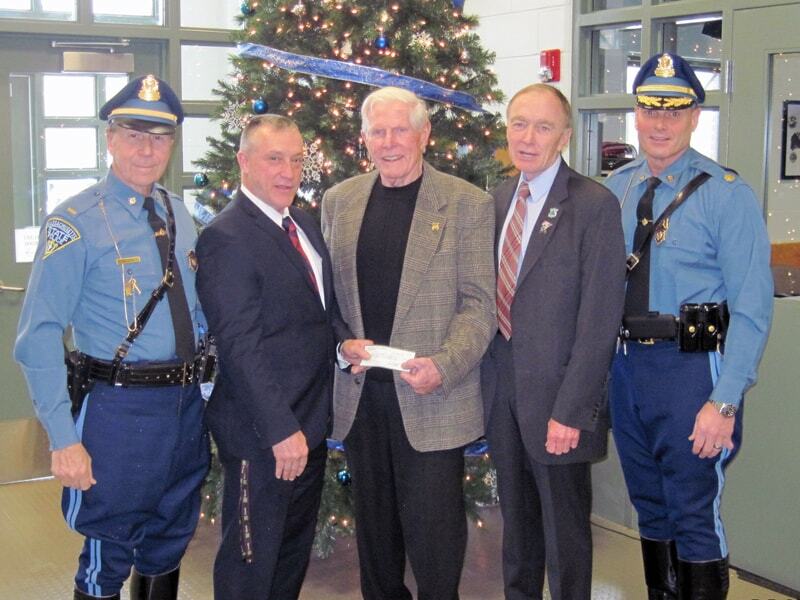 On December 16, 2017, the Bourne State Police Barracks gave a $10,000 donation to Cops For Kids With Cancer. In photo left to right, Lieut. Jame Platt, SP, Sgt. John Kotfila, SP, Bob Faherty, CFKWC retired, Lieut. Det. Bill Cloulter, SP, Chairman CFKWC and Major Scott Wormington.